Etymologically the term technology comes from the combination of these two Greek morphemes tékhnē, (meaning “art”) and ‎-logía (meaning “study”). It refers to the collection of techniques, skills, methods and processes used in the production of goods or services or in the accomplishment of objectives, such as scientific investigation. The human species' use of technology began with the conversion of natural resources into simple tools. The prehistoric discovery of how to control fire and the later Agricultural Revolution increased the available sources of food. 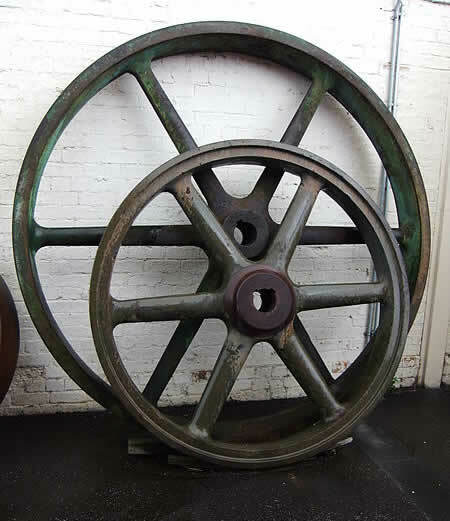 Likewise, the invention of the wheel helped humans to travel in and control their environment. Later developments in historic times, including the printing press, the telephone, and the Internet, have lessened physical barriers to communication and allowed humans to interact freely on a global scale. The steady progress of military technology has brought weapons of ever-increasing destructive power. Technology has been a subject of discussion in philosophy since the Greeks. The Greek philosopher Democritus, for example, believed that technology is an imitation of nature. House-building and weaving were first invented by imitating swallows and spiders building their nests and nets, respectively. "generally art in some cases completes what nature cannot bring to a finish." Aristotle also distinguishes between natural things and artifacts. According to Aristotle, the former have their principles of generation and motion inside, whereas the latter, insofar as they are artifacts, are generated only by outward causes. For example, animals, which are natural things, can grow, move and reproduce. A wooden bed, which is an artifact made by a human, cannot move, grow, or reproduce itself. Today, technology is a subject of debate because it is considered to be a double-edged sword. While it has helped humanity in extending its potential with outstanding inventions, it is nonetheless threatening humankind through some other destructive ones. In addition to polluting the earth in unprecedented ways, wars have become more and more devastating due to technological inventions. Ethical dimensions of recent technological developments, such as DNA engineering, have become a focal point of questioning and discussion. Philosophical debates have arisen over the use of technology, with disagreements over whether technology improves the human condition or worsens it. To make matters worse, a consensus definition of technology has become more difficult to find due to recent evolution in science and its applications. It is especially confusing to decide whether technology refers to the machines (or more precisely the hardware), the rules that govern or make them work, the system that operates them or the different applications of science that are related to them. What is sure is that technology has shaped societies and adapted itself to people's changing needs. It is easy to provide a satisfactory definition of technology. Aristotle considered technology as merely an imitation of nature. Undoubtedly, technological development made human life better. Technological development is not limited to humans.